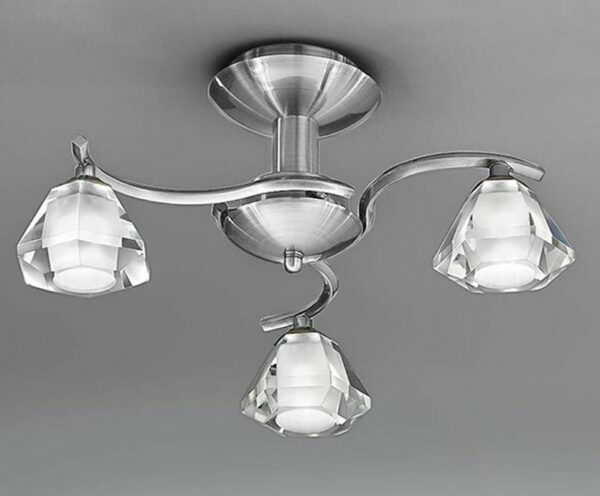 This Franklite Twista 3 light semi flush ceiling light in satin nickel finish with crystal glass is ideal for any room with a low ceiling. Featuring a circular mount and solid looking stem, with three double curved arms attached, each fitted with a chunky clear crystal glass shade that sparkles when illuminated. A compact three-light that is just 19cm high, making it ideal lighting for a mall to medium sized living room, bedroom, hallway or dining room with limited ceiling height. 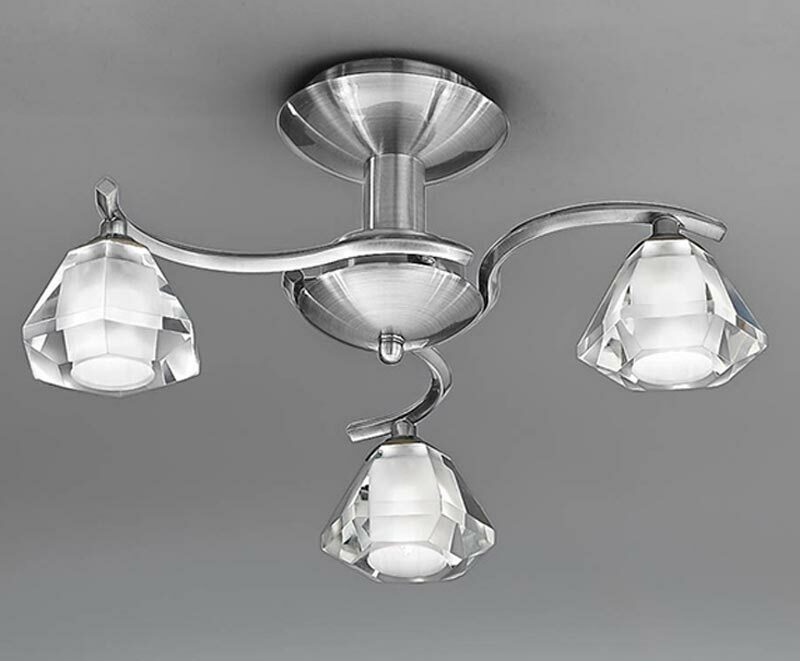 Small and chunky, this fitting will reflect the light in all directions creating a clear, crisp light through the crystal glass. Part of the Twista soft bronze lighting range that includes coordinating fittings that can be viewed below. Also available in polished chrome, satin nickel and polished brass; please enter the term Twista in the search box at the top of this page to discover the complete range. This light is supplied by Franklite Lighting who have been one of the pioneers in the design, manufacture and distribution of high quality lighting such as the Twista 3 light semi flush ceiling light in soft bronze finish with crystal glass you see here.